What does Good Ol' JR has to say? 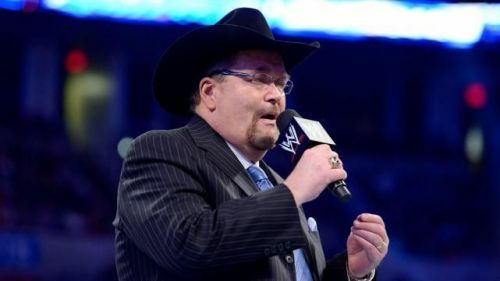 On the recent edition of his podcast, WWE Hall of Famer, Jim Ross analyzed Charlotte Flair's promo from this week's episode of SmackDown Live and made a bold statement by comparing 'The Queen' with WWE Hall of Famer and living legend, Hulk Hogan. Charlotte Flair made her WWE debut in 2012 as part of the company's developmental brand NXT where she became a one-time NXT Women's Champion before eventually being called up to the main roster in 2015. On the main roster, Charlotte started off her championship parade by winning the Divas Championship off Nikki Bella before winning the Raw Women's Title at WrestleMania 32. Flair eventually became a four-time Raw Women's Champion and after being drafted over to SmackDown Live, she also became a two-time SmackDown Live Women's Champion. On the latest episode of The Jim Ross Report, the legendary commentator weighed in his honest opinion on Charlotte Flair's promo from SmackDown Live, opening up about how far Flair has come since making her debut and also noted how she has established herself as one of the biggest stars' in the company. Charlotte Flair is currently set to challenge for the Raw Women's Championship at WrestleMania 35, as 'The Queen' is all set to go one-on-one against current champion Ronda Rousey at The Grandest Stage of Them All in two months time.